Feeling yucky, just not right. Ah-choo! Uh-oh, Llama Llama's nose is feeling tickly, his throat is feeling scratchy, and his head is feeling stuffy. Back to bed, no school today for Llama Llama! Instead, he's home with Mama. By lunchtime, though, he's beginning to feel a tiny bit better. But now someone else has the sneezes . . . Mama! And who will help her feel better? Why, Llama Llama, of course! 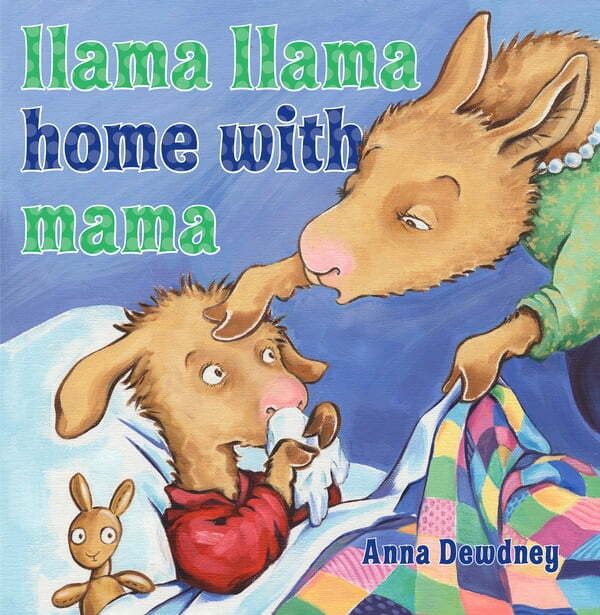 Anna Dewdney's fun-to-read rhymes are sure to help children and their parents get through those under-the-weather days.